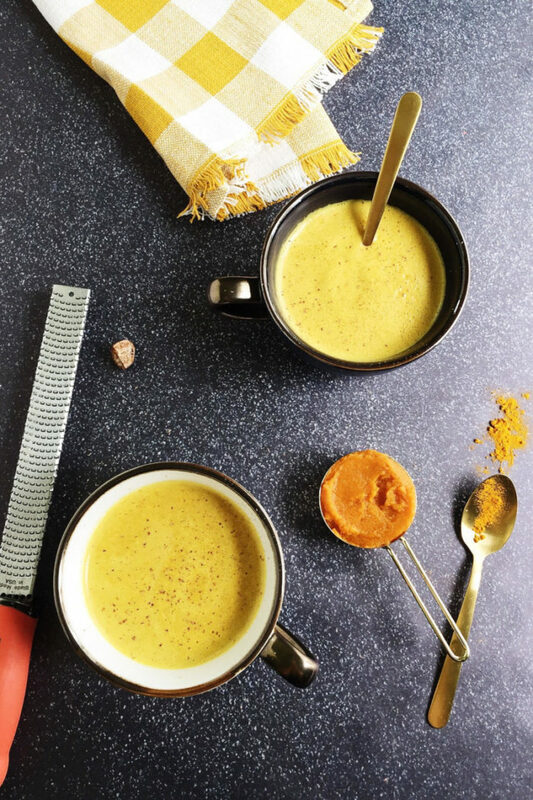 This Pumpkin Spice Turmeric Tea Latte is Golden Milk with a fall makeover! Brimming with warm, autumn spices, this good-for-you turmeric tea contains anti-inflammatory compounds and antioxidants. 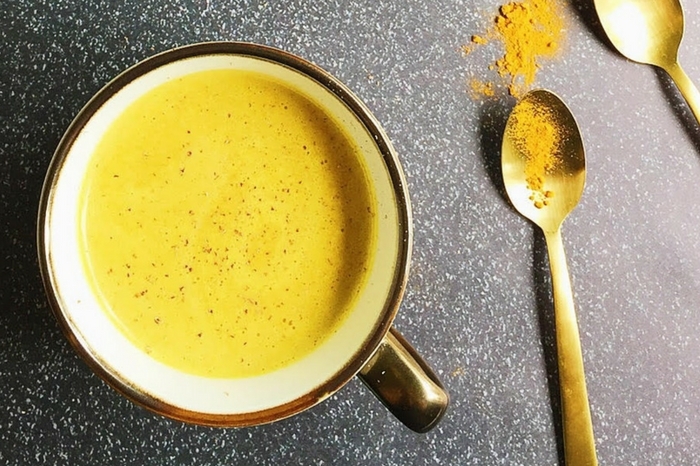 It’s officially October, so we’re not making just regular, plain ol’ turmeric tea. Oh, no. We’re making Pumpkin Spice Turmeric Tea Lattes. And we’re making it with Truvia‘s new Nectar! Truvia Nectar is a stevia and honey blend that can be used anywhere you would use honey, agave, or maple syrup. 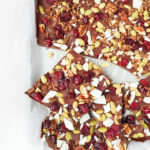 It also has 50% fewer calories per serving than sugar. I use it to top my oatmeal in the morning, in my smoothies, in baking, and in this Pumpkin Spice Turmeric Tea! 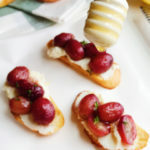 The taste of Truvia Nectar is really amazing. 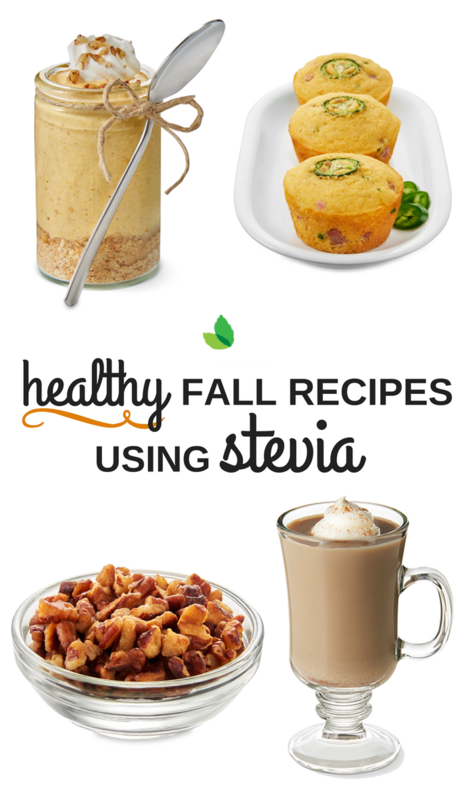 For those who haven’t tried stevia, this is also a great way to introduce it to your diet. Stevia is a calorie-free sugar substitute that is derived from a plant. It does not increase blood sugar, making it diabetic-friendly. Part of the Asteraceae family (like daisies and ragweed), the stevia plant is also referred to as sweetleaf, sugarleaf, or candyleaf. Pretty self-explanatory name, huh? Stevia is actually over 200 times sweeter than sugar, so only a small amount is needed to get the desired effect. For the Truvia Nectar, you only need half as much compared to honey. Never had stevia before? Guess what?! For a limited time, Truvia is sending out completely free samples! Grab a free sample of their Truvia Nectar and tell me what you think! 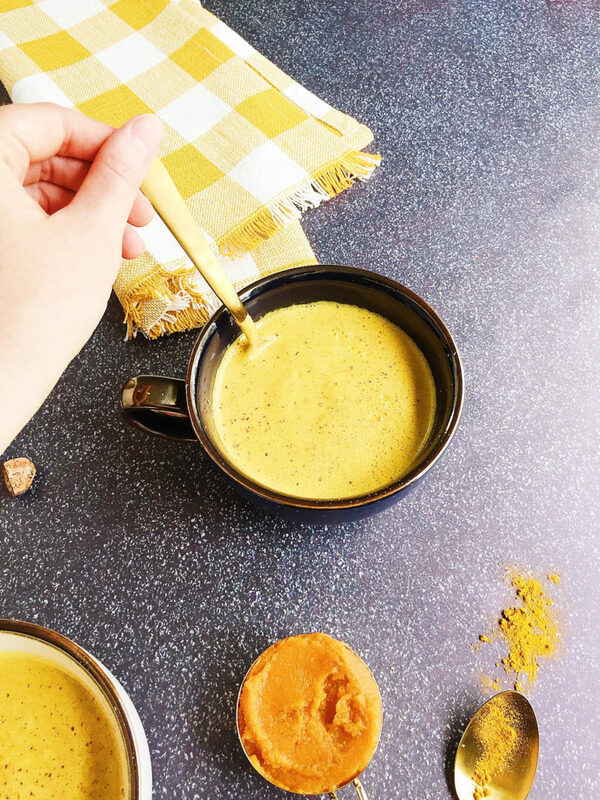 This Pumpkin Spice Turmeric Tea Latte is like drinking fall in a warm, comforting cup. Turmeric tea is crazy simple to make. It’s made by simmering water with turmeric. And that’s about it. The hot, spicy beverage is also known as Golden Milk, for its vibrant yellow color. 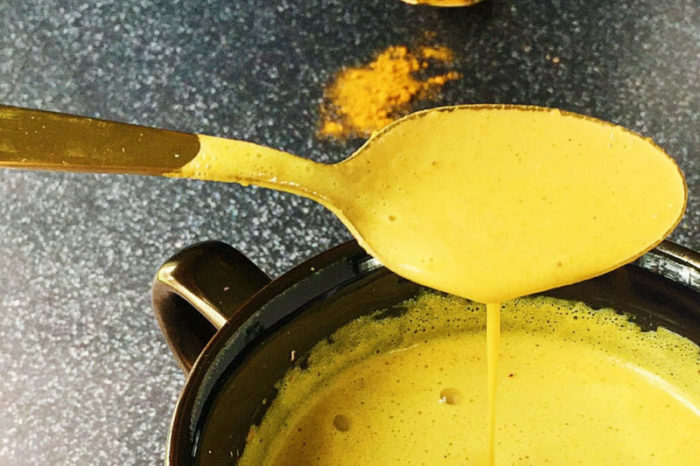 There’s plenty of health benefits to turmeric. Turmeric contains the active ingredient curcumin, which is a very strong antioxidant with anti-inflammatory compounds. The medical herb contains tons of healing properties. It’s been linked to treating depression, healing arthritis, preventing Alzheimer’s, and lowering the risk of heart disease. Yay for turmeric! This drink is spicy, but in all the right ways. Please feel free to experiment with the spice levels and see what works for you, especially if you’re a turmeric newbie! But it is so good. 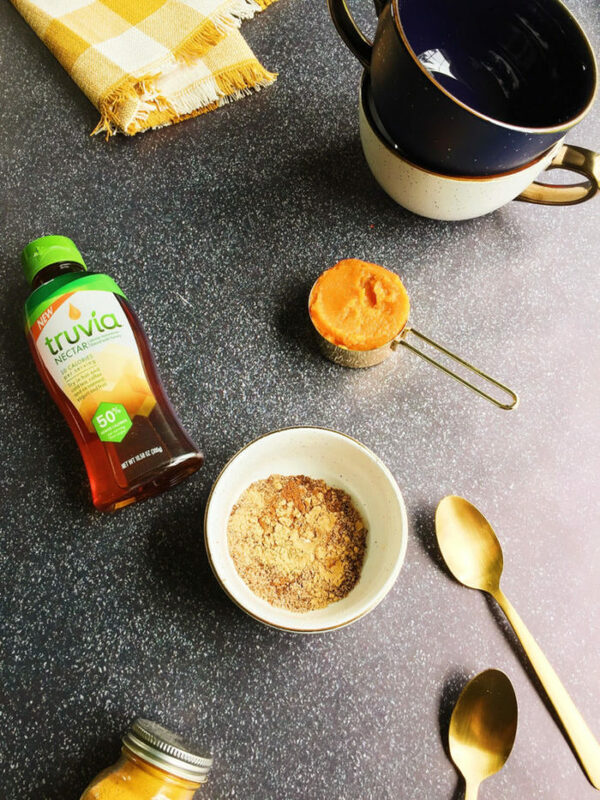 This pumpkin spice turmeric tea contains no caffeine and very little sugar, but it is still pleasantly sweet thanks to Truvia Nectar. 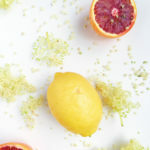 It’s brimming with warm spices, such as cinnamon, ginger, nutmeg, clove, and allspice. It has organic pumpkin puree, unsweetened almond milk, and some coconut oil for good measure and healthy fat. It made the entire house smell good, and I’m making another cup tonight! Feel free to join me. I’ll be on the porch with Cocoa, reading a book and sipping this tea like the proper 30-year-old-going-on-60-year-old lady I am. Thank you to Truvia for sponsoring this post. 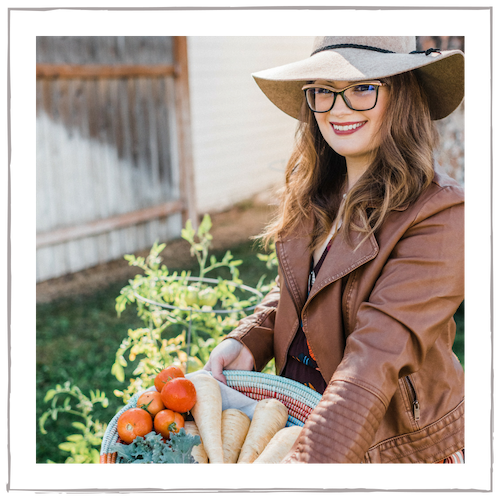 Make sure you check their store locator to see where you can find their new Truvia Nectar, and also take a peek at some of their amazing fall recipes! 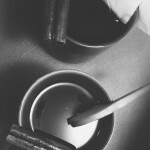 Do you love turmeric tea? Have you ever tried stevia? What are your favorite fall beverages? Let me know in the comments below! 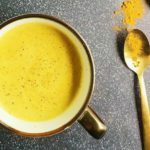 This Pumpkin Spice Turmeric Tea Latte is a good-for-you beverage brimming with warm autumn spices. Bring the almond milk to a simmer in a small saucepan. In a blender, blend the pumpkin puree, coconut oil, Truvia Nectar, and all of the spices. Blend well until completely mixed with no lumps of spices. Once the almond milk is simmering, slowly pour in about a 1/2 cup. Blend well and stop, scraping down with a spatula to ensure everything is incorporated. Then, with the blender running, slowly blend in the rest of the almond milk. Blend at high-speed until frothy. 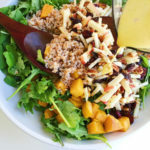 Serve immediately with additional cinnamon or turmeric sprinkled on top. I love Turmeric tea but adding PUMPKIN !!!! What a great idea and it was delicious I used pumpkin pie spice same seasoning just easier for me and a little black pepper to go with the turmeric and stevia yummy. Will be making this again Thank you Tiffany !!!. Did you know #curcumin is the primary active ingredient in turmeric? It’s responsible for both #turmeric’s brilliant golden color and many of its health benefits! Wow! I didn’t know much about stevia. I def need to try it out as a substitute since I’m a self proclaimed sugar addict, haha. 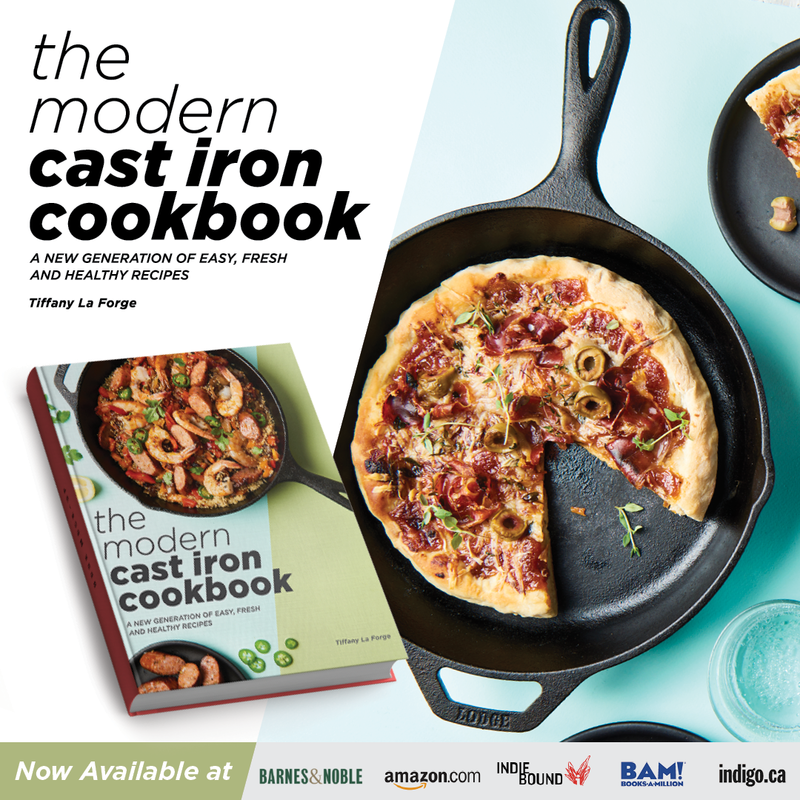 This sounds both delicious and healthy! Going to give it a try. Turmeric has really been in the health head lines of late. Thanks so much! 🙂 Yes, everyone seems to be talking about turmeric! I am a huge fan of tea, coffee and all other hot drinks, but I have never tried anything like this one. So many different flavors. It should taste amazing! Me too! I am ALL about hot drinks during this time of the year 🙂 Thanks for the thoughtful comment, Jovita! My parents drink a cup of turmeric milk everyday to bed. I have been aware of the benefits of turmeric since I was a kid..good to see that, turmeric has taken the world by the storm. Going to have to look out for this Truvia nectar! And I love anything pumpkin..going to have to try! I would have never have thought to make tumeric tea! I mean, I’ve done ginger tea, but not tumeric. I’m going to have to give this a try!! 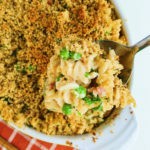 looks so good and perfect for fall!